BluesFestivals.net- The Ultimate Blues Festival Calendar! 465 Blues Festivals In 25 Countries Around The World! Powered by FestivalSubmit.com, we have the most extensive Blues Festival database in the world, maybe even the universe! We've been developing our festival database for over 20 years. It includes festivals of all kinds that feature all types of music- but here, we focus on festivals that present blues acts. We are constantly updating the database, confirming existing festival data and adding festivals as we find them, or removing them if they stop running. 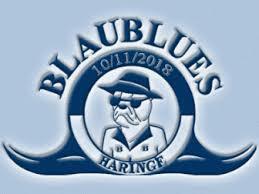 2019 will be the 20th Annual Blaublues Festival Haringe! Basic festival listings are FREE! We also have Headliner, Feature and Highlighted Festival listing options for festivals that want to make their listing stand out. For more info, click here! We feature musicians at a VERY reasonable rate of only $10 a month or $100 per year! Click here for more info! We have the coordinates on our festivals and can show you festivals near you! Locate your nearest festivals by clicking here! We can slice and dice the list to make it easy to find the right festival for your festival season! Our founder is both a database programmer AND a life-long musician that has attended festivals all around the world. He has even performed at quite a few major festivals, including Lucerne Blues, Waterfront Blues and the Legendary Rhythm and Blues Cruise. No problem! We can create one for you for a very reasonable fee of only $50. Check out our sister site, FestivalSubmit.com. They help musicians create and submit Press-Quality Electronic Press Kits™ to festivals all around the world.